Investors west of Brisbane are taking advantage of town planning guidelines to double their rental income. 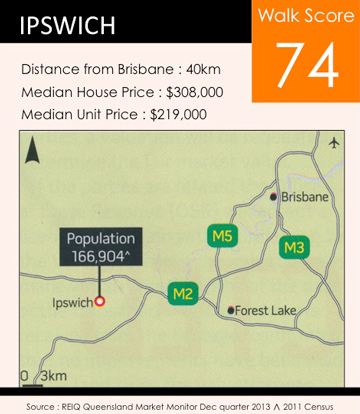 It was once intended to be Queensland’s capital, but Ipswich is now the western satellite city that’s become commuter central for affordable real estate. Ipswich has undergone a makeover during the last past decade. Once thought of as a rough neighbour, there’s been a push to create a more cosmopolitan centre with a vibrant feel. Great restaurants, top notch private schools, a university campus and a burgeoning arts scene are all playing their part in building the sophisticated profile of the city. Ipswich was founded in a rural setting and once you travel beyond the city limits, there appears to be endless strips of land suitable for expansion. The Ipswich City Council (ICC), however, are proactive. They’re looking for ways to create opportunities and to boost housing in the more densely populated central suburbs. Part of the programme includes planning provisions allowing single allotment properties to have double the occupancy. There are two types of development available that investors are homing in on. An ‘auxiliary unit’, or ‘auxiliary dwelling’, is a building used as a secondary residence which is attached to, or associated with, a dwelling on the same lot. ‘Dual occupancy’ refers to a main structure that holds two functional living areas, like a duplex. These require separate entry at ground level and sufficient onsite parking, recreation space and must meet privacy requirements for the two tenancies. According to the ICC, a primary difference between the two is an auxiliary unit is currently limited to a maximum of 65 square metres gross floor area (GFA) and will not normally require development approval (DA). A dual occupancy can be greater than 65 square metres GFA, but will require a DA. Multiple dwelling units on a single title – or ‘Granny Flat’ provisions as they’re popularly known – have been around for a long time, but guidelines have become more accommodating recently, according to Planning and Development Committee chairperson, Councillor Paul Tully. He says Council has been supportive of additional dwelling spaces on properties so there can be a diverse range of housing options for residents, while maintaining affordability and flexibility. They’re a great option for housing extra family members, Tully says. Tully says this type of development is suitable in most residential zones as long as they meet planning requirements. “The development of a dual occupancy requires development approval and the lot would need to be of sufficient size, dimensions and land quality to cater for the use. Normally a minimum area of 800 square metres with a maximum ratio of depth to width of 3:1 would be required. Tully says while provisions for both are based around having family members use the space, there’s no restriction on having an unrelated party as the tenant – so ‘hello investors’! Tully points out, however, you must be careful what you apply for – i.e. don’t ask for a relaxation on your guidelines so you can accommodate a relative, and then rent it to an unrelated tenant. Tully says overall, the legislation has achieved its objectives, but they are monitoring for any negatives in their plan. Sonia Woolley, owner of Vision Property Group, says the improved flexibility that came in 18 months ago on doubling living spaces has been a boon for investors. 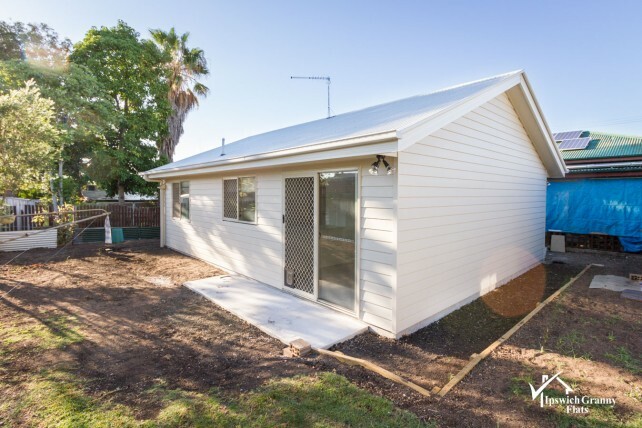 Woolley project manages granny flat constructions for her clients and distinctly remembers discovering the opportunity through a contact at the ICC. Woolley says the great advantage in Ipswich granny flat builds is flexibility. She says there are some standard guidelines in the planning scheme you need to adhere to like normal setbacks and heights limits, but it’s all a matter of designing to both the planning rules, and the tenants expectations. Julie Adams, property manager and co-owner at Vision Property Group, agrees there are must-haves in granny flat design if you want to secure good tenants. Adams says open plan, ergonomic design is also appealing, and if you can create a courtyard with fencing, all the better. Woolley says the cost of constructing the flat on a standard block with no dramatic slope or services issues would be around $110,000 to $120,000. She says this would be in total, including transfer fees and charges. The cost of buying the parent property in the first place is also very accessible in Ipswich. At a total cost of around $365,000, Woolley says the retained dwelling should rent for around $285 per week, while the new flat would get $275 per week. At $560 per week that’s a gross yield of eight per cent. Tax depreciation benefits come with the new flat too. Adams says the flats are popular with particular renter profiles, and demand is good. The changes in legislation have resulted in a couple of negatives. One is large subdivisions being developed in Ipswich with numerous duplex structures may not stack up in the longer term as supply increases. The push to get double incomes out of a property shouldn’t be done with disregard to the normal rules of investment. Ensure both rental returns and capital growth are factored into your considerations. Woolley says she prefers to see auxiliary properties built on infill sites, as there are plenty of established homes in Ipswich with big enough back yards to accommodate granny flats. David Hyne, a director and valuer with Herron Todd White, says buyers need to realise granny flats can often end up being an overcapitalisation in terms of what value they add to a property in total. Another factor is “risk ratings”. Risk ratings appear on mortgage security valuations and are used to highlight areas that might present added risk to the lender in relation to a particular property or market. These factors are rated on a scale of one (low risk) to five (high risk), with any factor scoring a three having some part to play in the banks deliberations. “It’s a property that appeals to a more narrow market segment in comparison to conventional single-use residential property. Therefore, a ‘three’ would most likely be selected for the ‘market segment’ risk rating. Granny flat projects are seen as an easy way to boost your income, and Ipswich offers an affordable entry-level price plus good rental prospects, but they aren’t for everyone. The big tip is to run the numbers carefully and, whenever possible, visit the location of your new investment. A couple of hundred dollars on an airfare may translate in savings in the thousands. 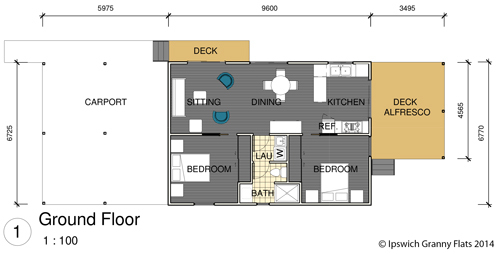 Click HERE to see a photo gallery and video blog of a granny flat build.